Trouble Getting Approved in Missouri? Summary of Missouri Usury Law(s) / Quote: "Legal: 9% / Contract: 10% for quarter beginning 1 /1/ 10 ; any rate business loans of $5,000 or more / Judgment: 9% / Corporate: Any rate"
Legal Maximum Interest Rates: Quote: "Without agreement, 9% (§408.020); contract rate not to exceed 10% except when market rate is higher (§408.030)"
Usury Penalties: Quote: "If usury collected, excess over legal rate applied to principal or debtor may recover (§§408.050, 060); debtor may recover twice amount of interest paid, costs of suit, and attorney's fees (§408.030)"
Judgment Interest Rates: Quote: "9% or higher rate lawfully stipulated (§408.040)"
Legal Exceptions: Quote: "Loans to corporations, general partnerships, limited partnerships, or limited liability companies; business loans of $5000 or more; real estate loans other than residential real estate of less than $5000 secured by real estate used for agricultural activity or loans of $5000 or more secured solely by certificates of stock, bonds, bills of exchange, certificates of deposit or other commercial paper pledged as collateral for repayment of loan (§408.035)"
Mike needs a fifteen hundred dollar loan with a one year term. He wants to repay the loan in twelve equal monthly payments. In fact, he mentioned that if he could make payments twice a month that would be even better for him. He is paid twice a month and paying the loan from each pay check would be easier for him to manage. He is not very good at managing money by his own admission. He is afraid that if he is only required to pay once a month he will have trouble meeting the monthly payments. He does not like to budget and just spends whatever is in his bank account. If the loan payment is withdrawn automatically from his account on each payday, then there is no way he could spend the money and then miss a payment. Mike needs the loan to pay for repairs to his car. It is a pretty old car, but it runs and he just needs couple of new tires, battery and a tune up. The car is older, but it runs well and he wants to hold on to it for a while longer. Her has no other payments other than his rent which is also withdrawn from his checking account twice a month. He does not have a credit card and does not want one. He had some trouble with credit cards a few years ago and knows that for him he is better off not having a credit card. He also does not have any savings and knows that he should be doing something about that, but so far has not got around to it. Mike it appears can handle this loan payment with the income he is currently making. He could also save some money for emergencies and still have enough to live comfortably. He lives from pay check to pay check and that is one of the reasons that he wants his debts paid twice a month and to coincide with his pay check. He will not be tempted to spend money he should be setting aside for the loan. Once Mike pays off this loan, he may want to consider continuing with a bi-monthly payment of the same amount into a savings account. This could be the beginning of an emergency savings account and he would not need a loan like this one in the future if he were able to save sufficient funds. His bank manager could help him set it up with some restrictions to keep him from spending the money unless he really needed it. With some money in a savings account he would not have to worry about making payments on something like car repairs. Although Mike probably does not worry about a lot of things in his life. He sounds like a pretty laid back guy. 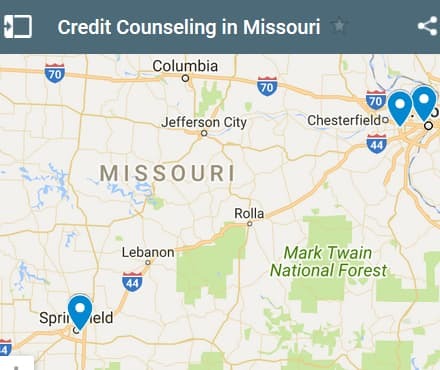 If you live in the State of Missouri and you're struggling to get a loan approval with a bad credit rating we hope our website helps you in some way. 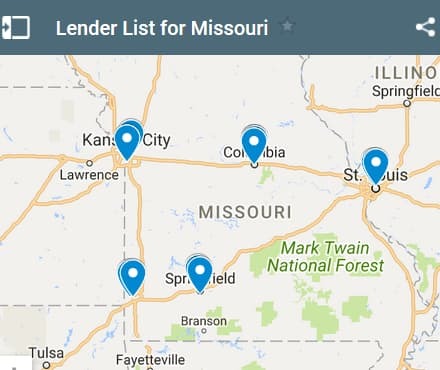 Last 5 debt service loans approved in the State of Missouri. Source: WFL Lender Pool. Updated Weekly. Principals rounded to the nearest $1000. Relative interest rates listed below in order left to right. Missouri law allows lender to provide loans to pay off debt of course, but there are specific laws regarding debt relief and debt settlement programs. So carry out due diligence before signing any lender contracts. We have a list of providers above you can check out but you'll need to have a decent credit rating in order to get approved. If you need a loan to pay off debt and your credit rating is bad you are better served by using our WFL lender pool. To do that you need to fill out the form above. Once you submit your application your pre-app information is available to consolidation providers in your area, and nationally too. You can learn more on our how to page for bad credit applicants. Wagdy has been finding it difficult to borrow money since he is new to the country and does not really understand the process of applying for loans. Because he is so new to the country, he does not have much of a credit score and does not understand how to even get a credit score or improve it. He would like to borrow $5000 and repay it over a four year term. The loan is needed to help him pay for a car he wants to buy and also some things he would like to get for his apartment and the family. They have applied for a credit card, but it has not been approved yet and likely would not have a high enough credit limit to cover these expenses initially. Although this is not technically a debt consolidation loan since he has not spent the money yet, he would be consolidating several expenses into one loan with a low monthly payment. He also would like some help to understand how to build a credit score and to apply for a mortgage for a home they would like to buy in the future. Both he and his wife are working and saving their money. They are very frugal with their living arrangements and expenses as they learn to live in their new country. They have no other debts and only have their rent, utilities, food and commuting costs to cover. They make sufficient income to cover this loan payment and are good candidates for the loan other than the credit score history. Wagdy, like many new immigrants struggle to make a living and they struggle to acquire the things that many people who have lived here for some time take for granted. He has applied for a debt consolidation loan and also wants to understand the best way to improve his credit rating. Many people have this question, so we have included a short paragraph discussing the issue. In order to even have a credit score and to improve it, consumers need to take on some kind of debt and then repay the debt meeting all of the terms and conditions of the loan. This usually means that you pay each monthly payment on time every month until the debt is fully paid. If the debt is a credit card, pay the monthly balance on the due date in full and maintain a relatively low balance on your card if you must carry it over the due date. Interest charges will apply. Always pay your rent or mortgage along with all of your utilities on time to avoid any kind of negative report to the credit rating agencies. Wagdy is getting started establishing his credit score. He has applied for a credit card and a loan. If he is approved for both and repays the debts on time he will be well on the way. He should note that any negative reports can stay on his record for as long as seven years. His loan is under review and he is anticipating a positive answer. 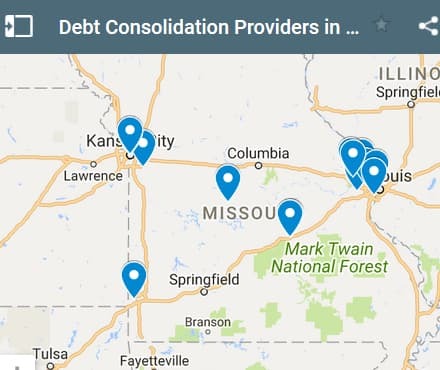 If you live in the State of Missouri and you're trying to get approved for a debt consolidation loan, we hope our website helps you find a good lender regardless of your credit rating.